Ubuntu MATE project leader, Martin Wimpress announced: Ubuntu MATE 18.04.2 LTS (Bionic Beaver) and Ubuntu 19.04 Beta (Disco Dingo) operating system for GPD Pocket and GPD Pocket 2 small computers officially launched. Six months ago, led by the talented Martin Wimpress, the team released Ubuntu MATE 18.10 (Cosmic Cuttlefish) for GPD Pocket and GPD Pocket 2 small computers. Thanks to the recently released hardware support (HWE) stack upgrade, Wimpress brings the Ubuntu 18.04.2 LTS version and the Ubuntu 19.04 testing version. 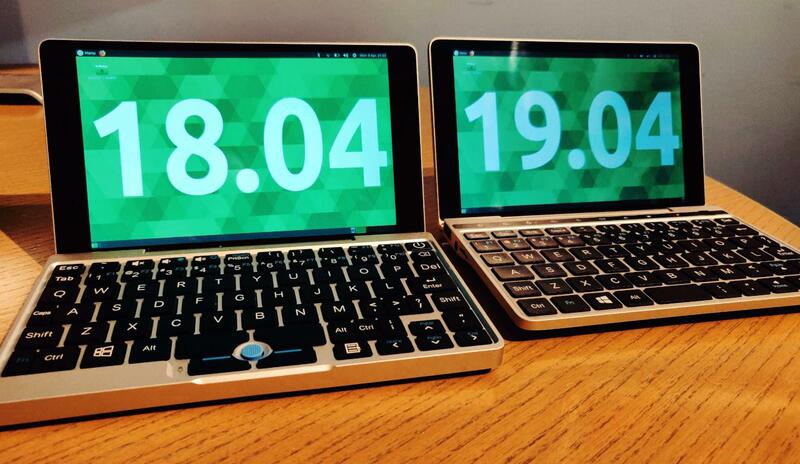 Back in October 2018 the Ubuntu MATE team released bespoke images of Ubuntu MATE 18.10 for the GPD Pocket and GPD Pocket 2 that included hardware specific tweaks to get these devices working “out of the box” without any faffing about. Today we are releasing Ubuntu MATE 18.04.2 and Ubuntu MATE 19.04 images for both devices. Enabled scroll while holding down the right track point button.